After flirting with the idea for more than a year, Advanced Micro Devices has finally provided concrete details for bringing Android to its chips as the company looks to support more operating systems beyond Windows. AMD will support Android on its 64-bit ARM-based chips starting next year, the company said in a press conference this week where it announced Project SkyBridge, a series of products that will provide the plumbing for its ARM and x86 cores to be interchanged or combined on a single motherboard. AMD is bringing Android only to ARM architecture, not x86, which is used in Windows and Linux PCs. AMD in the past has maintained that Android would work best with ARM processors, which are used in most tablets and smartphones. Intel has already built a flavor of Android for its x86 chips. The new ARM and x86 chips made as part of Project SkyBridge could appear in ultra-thin client devices—which may include tablets—and also embedded devices, said Lisa Su, general manager of AMD’s global business units, during the media event. AMD is not targeting smartphones, because it wants to focus on products that can deliver a strong computing and graphics experience, Su said. With Project SkyBridge, device makers will be able to design Android products that will harness the joint computing power of ARM Cortex-A57 64-bit chips and AMD’s Graphics Core Next (GCN) GPUs. The AMD-led HSA (Heterogeneous System Architecture) Foundation is developing programming tools and standards so all the processing units can operate in tandem to speed up a system, but AMD’s ARM processors are not yet compliant with HSA’s standards. 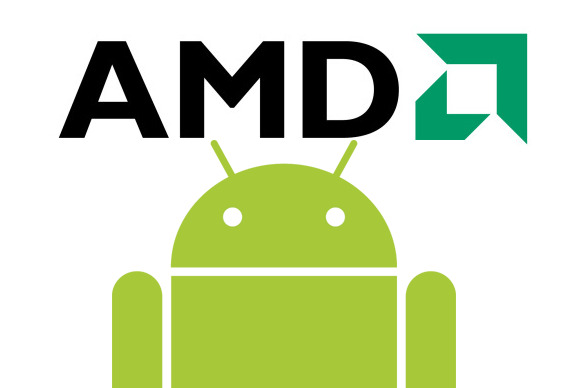 “This will also be the first Android platform that we have at AMD with our heterogeneous systems architecture,” Su said. A chart showed Project SkyBridge supporting Android, Windows and Linux, and AMD is making a series of new x86 and Android-compatible, ARM-based chips that are pin compatible. The chips will be made using the 20-nanometer manufacturing process, and are on track for delivery to device makers next year, Su said. Android may not be a priority for AMD, but it has to add support for the OS if it wants to compete in the tablet and thin-and-light market, analysts said. “[Android] would go into tablets, and to the extent that ARM makes headway, into clamshells,” said Nathan Brookwood, principal analyst at Insight 64. Unlike Intel, which relies on x86, AMD is trying to keep a flexible chip strategy and wants to offer x86 and ARM chips to customers, Brookwood said. AMD licensed ARM in 2012, and has announced a lineup of low-power and server cores based on the architecture. “They are focusing their low-power x86 on Windows, and to get to tablets on ARM, they will do Android,” Brookwood said. AMD could also tune Android for embedded devices used in cars, the military and other areas, said Jim McGregor, principal analyst at Tirias Research. “A good example would be infotainment where you may want to use a third-party app,” McGregor said. Android could open up a new market for AMD’s tablet chips, which currently support only Windows. AMD’s previous Z-01, Z-60 and Temash tablet chips were used in a handful of Windows 8 tablets, none of which sold well. Last week AMD launched its latest Mullins chip for tablets, which supports only the Windows OS. However, users can add a virtual layer of Android through the Bluestacks emulator. But support for Android doesn’t mean AMD will abandon Windows. Support for Android will also help AMD achieve its long-term goal of putting its chips in non-PC products, McGregor said. AMD is trying to diversity its operations by designing custom chips for non-PC products like game consoles and servers, and support for a variety of operating systems is important. It may be technically possible to build a dual-boot Windows and Android PC through a Project SkyBridge motherboard with an x86 and an ARM core. But analysts said that dual-boot systems would require many changes in the BIOS, and users may not be attracted to the Windows and Android disconnect with the files residing in two different file systems. “Dual-boot systems ... don’t make sense” for Project SkyBridge, Brookwood said.